Whilst its existence may have been prematurely outed by the Australian Government in a recent classification by their ratings board, it would seem that Criterion Games are keen on teasing the secrets behind a game known only as Burnout Crash. 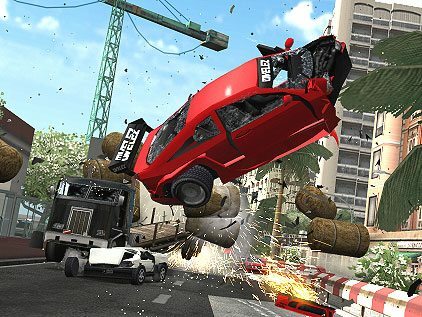 The developer is known to have been playing around with ideas for a future instalment within the popular Burnout series for some time, and today in a post titled “Haven’t seen this for a while” on their official blog, have added further hints toward previous instalment in the series Burnout 2: Point of Impact. Could such a tease signal a remake of the 2002 classic, or are Criterion suggesting a return to the classic Burnout formula rather than the open world nature of Burnout Paradise? Either way, we can’t be the only one’s hoping that they have a Nintendo 3DS version on the cards.